Forced Aire is devoted to giving you finest quality air conditioning service and repair work at the same time sustaining a pleasantly warm outlook towards you as well as your home. Our high class technicians understand how to handle you with esteem and courtesy, and we are definitely accessible to make sure that you will get help when you need it. Forced Aire guarantees that you will be happy with the air conditioning system, or even we will correct it for free of charge to you. We operate service together with repair work on ALL manufacturers and different types of equipment. Our licensed professionals can certainly help you with all of your air conditioning and heating needs! We charge by the task, not by the hours, and will provide you with every bit of options with your total cost before we start the work, so you can decide what is right for you. 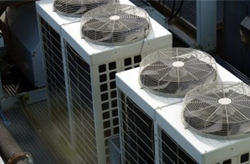 Air conditioning systems need process upkeep to increase performance, sustain effectiveness along with ensure safety. The majority of air conditioning systems need to be inspected by a specialist every single springtime to make sure that the method is working properly and safely. Via hands-on maintenance, you could reduce electricity expenses and boost the life duration of your air conditioning equipment. Our service includes a professional cleaning, adjustment and safety confirm that we operate on all types of air conditioning equipment to help ensure high overall performance, safety and also efficient procedure. In case your system is damaged beyond repair, our experienced technicians can install a brand new system immediately to make sure the best comfort in your home. Making use of the modern technology, we can estimate the correct size and capability for your home. If you want to upgrade your system because of safety or reliability concerns, we can easily help you select from a wide variety of finest quality heating equipment with prolonged warranties giving you up to 10 years of insurance. Most heating and air conditioning systems use up over fifty percent of a home’s electric power. By switching over to an energy saving system, families can easily reduce their month-to-month energy expenditures by as much as 30%. Zoning systems are the ideal solution to get rid of hot rooms and provide an excellent temperature throughout your home. 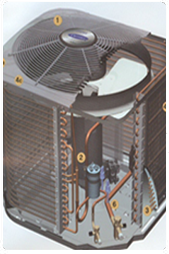 Zoning systems permit an individual air conditioning unit to gain unique temperature zones in each room of your home. Commercial Heating and Air Conditioning Services; Whenever you contact Forced Aire, you are going to be sure that you are contacting a professional that has the knowledge and expertise needed to help you achieve a comprehensive evaluation of your problem and repair it appropriately the very first time. General, our objective would be to make sure that our capability to properly analyze a problem and handle it with the most appropriate technology, devices, and equipment obtainable in our industry to satisfy your needs unlike others in the heating and air conditioning industry. We want to go beyond your expectations and make sure your system is functioning properly! We operate service and repair work on ALL manufacturers and also different types of equipment. Our properly trained professionals can help you with all of your HVAC needs! Air conditioning and heating systems need process upkeep to increase overall performance, sustain effectiveness and also assure safety. The majority of heating and air conditioning systems have to be inspected by an experienced person a minimum of twice a year to make sure that the product is working properly and safely. Our service includes a professional cleaning, adjustment and safety report that could be performed on all types of air conditioning and heating devices to help maintain high performance, safety and reliable operation. Forced Aire is devoted to providing the finest quality heating service and repair work. Our high class technicians understand how to deal with you with knowledge and courtesy, and we are always accessible to make sure that you receive assist at any given time. 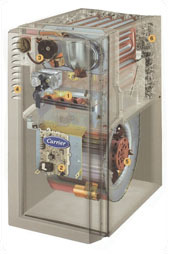 Forced Aire guarantees that you are going to be pleased with your furnace, or we are going to repair it free of charge. We do the service and repair on ALL manufacturers and different types of equipment. We charge by the job, not by the hour, and will provide you with a report of the issues before we get started in the work. You can choose exactly what is suitable for you. 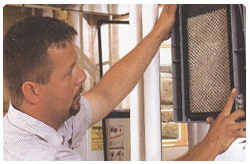 Furnaces need standard maintenance to increase overall performance, maintain your efficiency and make sure safety. Most heating systems are required to be examined by an experienced professional twice a year to make sure that the system is functioning correctly and safely. Our services include a professional cleaning, adjustment and safety report on all types of heating equipment to help maintain peak usefulness, safety and guaranteed operation. If your furnace is falling apart beyond repair, our well-experienced technicians can set up a brand new system without delay to make sure the best comfort in your home. Utilizing the latest modern technology, we can analyze the appropriate measurements and efficiency for your home. If you would like to update your current furnace in mind of the protection or durability concerns, we can help you choose from a wide variety of top-quality heating products with extended guarantees giving up to 10 years of coverage. Most heating and air conditioning systems consume more than half of a home’s energy. By switching over to an energy saving system, families can cut their per month energy costs by as much as 30%. Zoning systems are the most excellent solution to eliminate chilly rooms not to mention give even temperature all throughout your home. Zoning systems permit a single heating unit to have separate temperature zones in each room of your home. Seeing that homes become even more power efficient, they are also recognized as becoming increasingly being affected by indoor air contaminants, because of the expensive trade off of indoor air together with pure outdoor air. Malfunction to terminate indoor air contaminants may cause flu-like signs and symptoms such as headaches, nausea and respiratory discomfort, not to mention aggravation of asthma and allergy conditions. Regular vacuum-cleaning and dusting can help maintain your current indoor air clean, but the most compact contaminants that bring about the most discomfort can be merely taken away with filtering gadgets. Forced Aire can identify the important problems and also provide a solution customized to your specific need. See our Exclusive Written Guarantees on Indoor Comfort Systems or Indoor Air Quality Systems. We operate service and repair on ALL brands and types of equipment. Our trained professionals will help “Put You in Your Comfort Zone®”! We charge by the job, not by the hours and will give you all of your options with your total cost before we start the work, so you can decide what is right for you. Although the inside of your home might appear clean, contaminants like mold, bacteria and dust might be hiding within the air circulation system and making you sick. Forced Aire can inspect together with clean your duct work if necessary. Ducts are often not ever seen and rarely thought about, but they are vital to every home, office, restaurant, or any indoor environment. Ducts are made of sheet metal and are used in Heating, Ventilation, and Air Conditioning (HVAC) systems to deliver air. -Manufacture and installation of fitting, ducts, and any other sheet metal needs. 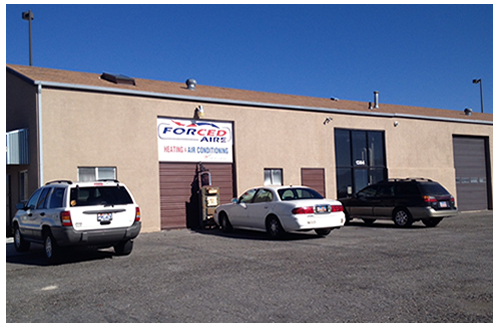 -Installation of completed duct work and entire HVAC system.